EICMA 2018 is like a candy shop for Ducati enthusiasts. 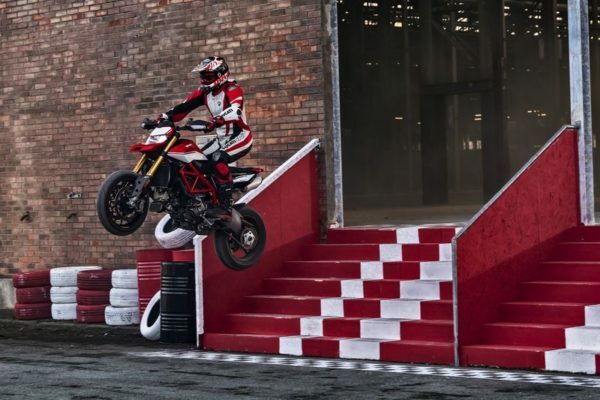 After unveiling the Panigale V4R, the Diavel 1260 and a new Stealth edition of the Monster 821, Ducati has given their supermoto bike the Hypermotard an update. 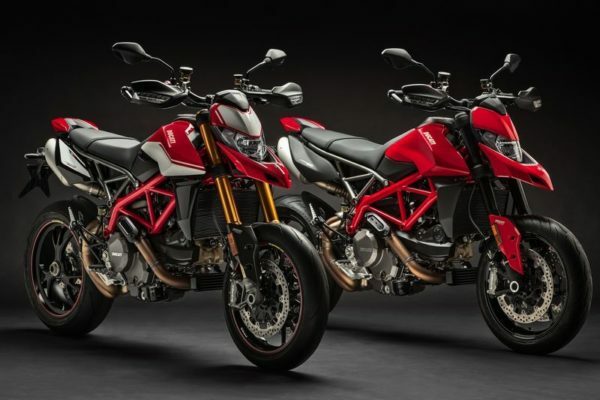 The new Hypermotard 950 gets a bunch of changes, both cosmetic and mechanical, and we also see the return of the cool looking under seat exhaust. The bike will be offered in two variants, the standard variant and the SP variant. The SP variant will be offered with some additional equipment and will be priced higher than the normal variant. Apart from that, both bikes will share the same equipment. Powering the bike is a 937 cc, 11-degree Testastretta V-twin engine which runs a higher compression ratio than before. The result is a higher power and torque output of 114 bhp and 96 Nm of torque. The torque curve is now changed in such a way that about 80% of torque is made available at 3,000 rpm. The engine has also lost some weight and so has the new trellis frame, making the new bike about 4 kg lighter than the old one. The clutch now is a hydraulic unit, and electronic aids like cornering ABS, riding mode, traction control and so on are offered as standard on both the variants. Both variants also get a colour TFT display as well. The standard model gets a fully-adjustable Marzocchi USD fork and Sachs monoshock while the SP variant gets Ohlins suspension units at both ends. Other differentiating factors between the two are that the SP comes equipped with a quick-shifter working both directions, while the standard variant gets it as an optional extra. SP variant also gets forged Marchesini wheels and the red-white paint scheme to complete the package. The bikes are expected to make their debut in the Indian market around next year, that is when the pricing will be out, so stay tuned.